Working on Wellness: A Practical Guide to Mental Health is a manual designed to help anyone living with a mental illness recover and achieve the life they’ve wished for. Author Karl Shallowhorn provides simple, easy to understand tips on wellness, and shares his own personal story to illustrate his helpful methods. Karl explores such topics as potential, spirituality and the connection between the mind and body. Readers will quickly learn that the life they are looking for is within their reach, through the use of self-exploratory questions as well as reflection on their own life journey. Working on Wellness is an inspirational light of hope for individuals living with a mental illness and the people who love them. Karl Shallowhorn was born in Buffalo, NY in 1962. He was diagnosed with Bipolar Disorder in 1981 and spent nearly 15 years struggling with his disease before stabilizing his condition. Karl is a recovering addict and a Credentialed Alcoholism and Substance Abuse Counselor currently working in the mental health field. He has a Master of Science Degree in Student Personnel Administration from Buffalo State College. Karl’s experience as both a consumer and clinician have given him a keen perspective on what is needed to both manage symptoms and go beyond one’s self-perceived limitations. Karl is happily married with two daughters and lives with his family in Amherst, NY. I have been living with bipolar disorder (BP) since 1981 and while the early part of my journey was tumultuous, I have been able to find a way to face my illness head-on and lead a stable life. I have been hospitalized at several Buffalo mental health facilities. 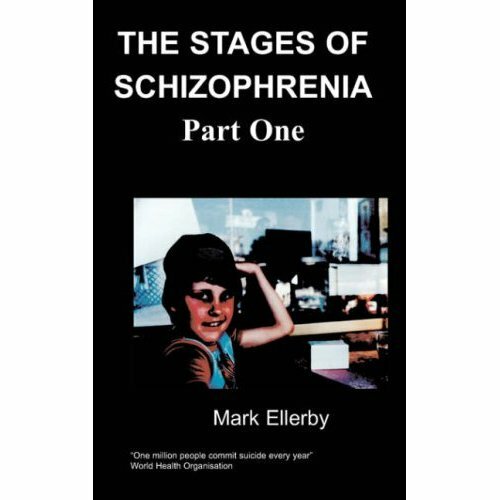 I have been prescribed a variety of psychiatric medications over the years including Lithium and Thioridazine (Mellaril), which I’ve been taking for much of my life. When I was initially diagnosed with BP I was complicating my condition by abusing drugs and alcohol. This certainly did not help. I was very confused and lacked any concrete guidance on how to address my disease. I was in counseling; however I was non-compliant with treatment methods and any efforts to help me went by the wayside. During this period in the 80’s, when I was lost in the disease, I still had hoped that I could someday have a life that resembled some sense of normalcy. I would often fantasize about having a “real” job and family of my own. I just wanted the pain to stop. I was extremely fortunate to have parents that loved me no matter what. I am an only child and was adopted at an early age. This permitted my parents to focus much of their time and energy into helping me recover. My folks were there for me every step of the way. My mom, however, did eventually stop visiting me in the hospital. It was too much for her to bear seeing me under those conditions. Fortunately she lived long enough to see me get back on my feet. During my early recovery I experienced a wide variety of treatment modalities: psychotherapy with psychiatrists, licensed clinicians, outpatient group therapy, day treatment, and, inpatient treatment. I believe that they all have their individual merits. I decided to write this manual so I could share with others what has worked for me. I realize that recovery can be case-specific however I do believe that there are many common denominators in successful mental health treatment. I hope to reflect on some of these methods coupled with my past and present experience to demonstrate how recovery is possible. What I want to communicate in this manual is that recovery is possible. One of the key elements is learning when to ask for help. I had to learn this the hard way. By asking for help from others we are able to acknowledge that we don’t have all of the answers. When we open ourselves to the help of others we are able to find the way to realize the life that we would like to live.